Nestled in the foothills of the Berkshire Mountains in rural Litchfield County, Washington is one of Connecticut’s most scenic and culturally affluent small towns. The area’s stunning farmland, rolling hills, panoramic vistas, quiet country roads, and historic colonial architecture give the town a quintessential New England ambiance. With natural gems such as Lake Waramaug, the Shepaug River, and Steep Rock Association’s preserves and trails, the town offers abundant recreational opportunities for its residents and visitors alike. Prior to colonial times, Chief Waramaug of the Potatuck Native American tribe summered in Washington in the early 18th Century. Washington’s colonial history dates back to 1779, when the town was officially established as a union between the Parishes of Judea and New Preston. It was named Washington in honor of the country’s first President, who passed through the area several times during the Revolutionary War. The town started as a small farming community and quickly evolved into an industrial hub, supported by the waterpower from local rivers driving many mills. The arrival of the railroad in 1872 brought imported goods and shifted the economy back to its agricultural roots. By the turn of the 20th century, Washington was an economically prosperous town on the verge of becoming a rich cultural center. Driven by an influx of artists, writers, and patrons of the arts, Washington’s cultural offerings and sophisticated lifestyle evolved into the vibrant, prestigious community that it is today. To learn more about history of Washington, visit the Gunn Historical Museum. Washington has a vibrant community life and the very active social scene that suits diverse lifestyles. Whether coming together for lectures at the Gunn Memorial Library, outdoor movie nights, farm yoga classes, or events at the diverse houses of worship – there are many opportunities to engage and enjoy community life. The town also holds several traditional seasonal events that bring together the entire community, such as the Washington Green Fair, Halloween Cemetery Tour and Holiday in the Depot. Our civic-minded community supports many non-profit organizations for the greater good. Washington enjoys a thriving business atmosphere. Small and family owned stores have been serving the community for generations and continue to prosper. Unique businesses also flourish, such as the world-class antique and home design shops of New Preston and diverse businesses in Washington Depot and excellent restaurants and gourmet markets abound. For the complete business directory, visit Washington Business Association. Washington has attracted artists, musicians, and writers for decades. 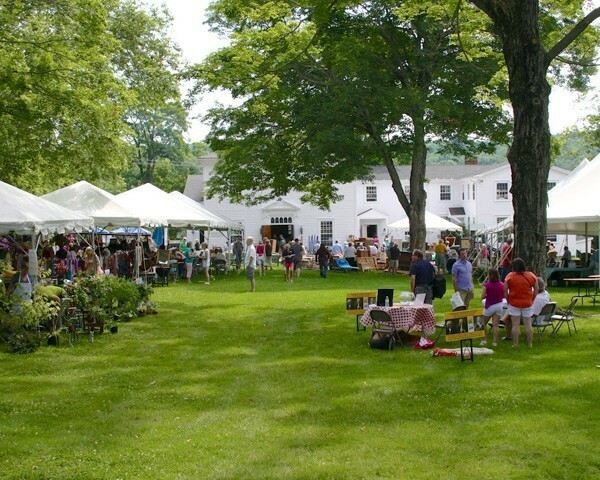 The art and cultural environment are unparalleled throughout New England. The Washington Art Association and several galleries in town showcase all artistic mediums as well as established and emerging artists. The town also has two renowned museums and two world-famous dance companies. Washington Friends of Music adds town’s cultural environment, hosting live performances by vocalists and other musicians. While the town’s lifestyle has a major focus on art and culture, it is also committed to health and wellness. Washington’s natural surroundings offer a healthy lifestyle of hiking at Steep Rock Association’s many trails or enjoying water sports at Lake Waramaug. There are many local businesses dedicated to yoga practice, healing treatments and holistic nutrition. Washington residents take part in several Community Supported Agriculture (CSA) programs, which connect them with fresh fruits and vegetables right from local farmers. Explore more about Washington’s culture and lifestyle. All of the five villages in Washington boast beautiful and serene neighborhoods that are perfect for raising a family, or for a relaxing summer getaway. The town has a unique mix of charming colonial country homes, grand estates, quaint cottages, rustic farmhouses, and lake-view properties. In the historic districts, antique homes have been lovingly restored and protected for generations to come. Washington has ample farmland and protected open space to ensure quaint, pastoral vistas throughout the five villages. Contact local Washington CT realtors listed on our Services in Washington CT page for more information. Washington has one of the best school systems in Connecticut. The town is home to four prestigious private schools that all have become a part of Washington’s identity and offer a rich educational tradition. To complement the private schools, the town has two highly rated public schools that are committed to providing students with an excellent learning experience, as well as to serving the local community. Students from both the private and the public schools take part in the abundant after school programs offered in Washington, such as the Shepaug Soccer Club, recreational programs and ASAP!. ASAP! is perhaps the most popular program for students in town, as it holds workshops and classes that focus on practicing different artistic mediums. View the full listing of schools in Washington. Washington offers abundant opportunities to enjoy the town’s natural beauty. The Steep Rock Association has three preserves that offer great hiking trails with picturesque views of the surrounding hillsides, forest areas, and rustling waters of the Shepaug River. For aquatic pursuits, residents enjoy Lake Waramaug to kayak, canoe, and paddleboard across its waters. Avid boaters may take their small vessels on the lake to fish or to simply cruise around. The town also has two beautiful country clubs, The Washington Club and Lake Waramaug Country Club, that offer exclusive access to the town’s golf courses, private tennis courts, and the beach at Lake Waramaug. Residents also enjoy tennis on one of the town’s public courts and biking around the scenic roads of the five villages. The town’s Parks and Recreation Department offers many programs for children and adults. Washington is dedicated to protecting and preserving its natural surroundings. Since the beginning of the 20th century, residents have advocated for the conservation, maintenance, and enhancement of the environmental quality of the town. The Steep Rock Association was born out of these first sentiments of environmental awareness and has grown to protect three natural preserves that collectively consist of 2,523 acres of land. In 1971, the town created the Washington Environmental Council to monitor and to respond to environmental issues affecting the town. The council works to not only conserve Washington’s natural beauty but also to educate fellow residents on how to be good stewards of the environment. Washington is also a part of several regional environmental organizations, such as the Lake Waramaug Task Force and the Housatonic Valley Association, that work to protect the area’s natural bodies of water.